Are you missing the upcoming Holidays? 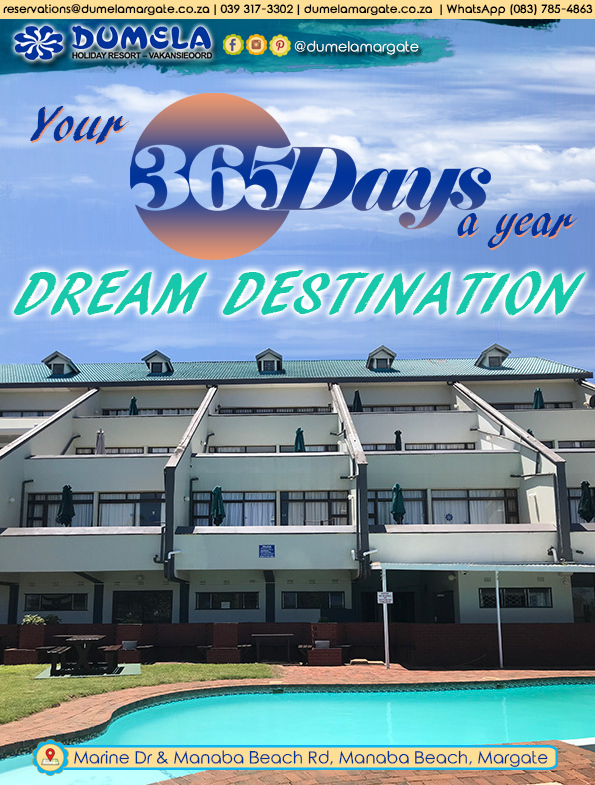 If yes, don’t worry because Dumela Holiday Resort is a dream destination 365 days a year… EVERY YEAR! With the KZN South Coast offering outstanding all year round weather you are not limited to only holidaying in certain seasons. Instead you can plan your next vacation around your schedule and still be sure you will get to enjoy our world renowned tropical weather and Warm Ocean. So what are you waiting for? We have our booking agents standing by to assist you with your reservation now! Hi there. I would like to know your rates for the December holidays, preferably for unit 10. Your email address has been submitted to our booking department who will be in touch. Thanks. Your query has been forwarded to our bookings department who will be in touch. Thanks.